Tony: Allora, come stai, Leone? Tony: OK. OK. Let's talk business. Mathilda threatening to shoot herself playing Russian roulette. New training missions where Mathilda learns the ropes of becoming an assassin. Q: What film does Léon go to see? Q: How old was Natalie Portman when she was cast in this film? Q: What special features are on the DVD? "I like these calm little moments before the storm..."
Many movies have characters in them who are hired assassins, or "hit men". They're the standard "badass" character that kills people in order to collect a reward. Most hit men in films have been portrayed as cold, heartless villains (Boba Fett of Star Wars, Vincent of Collateral). Léon, however, flips this cliché on its end, as the hit-man is the kind-hearted protagonist who learns how to love, thanks to a little girl who shows up on his doorstep. Léon begins in a restaurant, with the assassin himself (Jean Reno) taking a contract from his boss Tony (Danny Aiello) to kill a man who's moving in on Tony's territory. The next 10 minutes become an enthralling cat and mouse game where Leon shows the viewers just why he is known as the cleaner: he is extremely good at this job. We also see Leon's human side, shown by his passion for milk, his affection for his plant (whom he calls his best friend) and when he becomes engrossed watching Singin' in the Rain. Leon seems quite content with this life, not seeming to want anything more. That is, until he is forced to take custody of a twelve-year-old girl (Natalie Portman) whose entire family was cruelly massacred by a corrupt DEA agent (Gary Oldman). This is where Leon is forced to change his lifestyle for the little girl, and when she wishes to get into contract killing to avenge her brother, Leon becomes her mentor and protector. Luc Besson was both the director and screenwriter for Léon, and he proves with his sophomore effort that he is no one-hit wonder. Léon is a very fast paced movie, chronicling Leon's training of Mathilda, Mathilda's growing affection for contract killing (and for Leon himself), and the final standoff with Norman Stansfield. Despite all this, Léon also has time to throw in some slower scenes that develop Leon's and Mathilda's characters, expanding on their growing relationship and partnership. 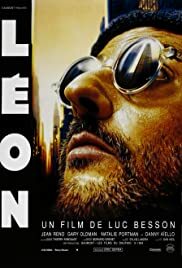 Jean Reno does a very good job as Leon, portraying him both as an effective and frightening killing machine, and as a loving and caring father figure. There is almost a childlike innocence to Leon, with him being unable to read and not familiar with most American culture. Reno allows the audience to both sympathize with this character and respect him, an extremely challenging feat. Natalie Portman's breakout role as Mathilda is one of the greatest acted child roles in a film, period. Portman is able to portray childlike innocence combined with an above average intelligence and awareness of the world around her. Although she is young, she becomes extremely interested in Leon and his job, wanting revenge for the gross acts committed upon her. 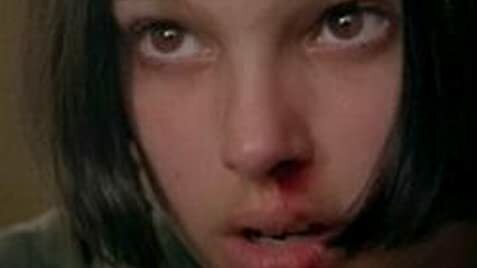 Make no mistake, Mathilda is the true star of this film, and Portman completely shines in the role. In comparison to Jean Reno's fairly subdued performance as Leon, apparently Luc Besson wanted a more exciting and over-the-top antagonist for the film: enter Gary Oldman. Gary Oldman completely overacts his character of the crooked DEA cop, and he does it so wonderfully that he steals every scene he is in. This is without a doubt the greatest performance of this underrated actor's career, as the fun Oldman has with this role practically oozes out of the screen and infects anyone who watches him. While some critics criticized Oldman for his performance, it was actually spot on considering that the character of Stansfield is a drug-addicted psychotic cop who has no problem with murdering an innocent family to get what he desires. The only nitpick I have with Stansfield is his screen time is fairly small compared with Leon and Mathilda; nevertheless he completely steals the show when he does appear. The plot of Léon is fairly straightforward compared to most action flicks, as there are no particular plot twists or double crossings. However, the simple plot works because this is not a plot driven movie, it is a character driven one. That's not to say there is no action in this movie, there are a few great action sequences (especially the spectacular police shootout in the film's climax), but the film mainly revolves around the growing affection between Leon and Mathilda, and how they change each others' lives. Overall, Léon is an extremely well-made action/drama, and one of the best films of 1994.